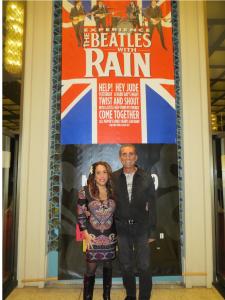 Sherri Kane Reviews the Japanese Version of Dr. Leonard Horowitz’s Book of 528: Prosperity Key of LOVE, Retitled for the Japanese Market The Frequency that Killed John Lennon. That miracle happens to be the “MI” frequency of the ancient Solfeggio musical scale–528Hz frequency, he argues. “The planet has been poisoned by spiritually-deprived psychopaths lusting for power, profits, and the most effective methods to covertly control populations through petrochemical-pharmaceutical intoxications, and distressing musical vibrations, endangering everything,” he asserts. The alternative, according to Horowitz’s text and his Natural Cure for Global Warming is readily doable and deserved by loving intelligent people worldwide. It comes with the understanding that LOVE—“The Universal Healer”—is an energy (frequency) of sound and light activating DNA and sustaining biology. 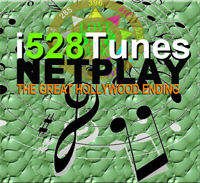 That is “528” to be exact, felt in people’s hearts and played by increasing numbers of musicians worldwide. To expand the “528 Revolution,” in sync with the “good vibration” of 528 resonating at the heart of the cosmos, Horowitz and his partner, Sherri Kane–the Vice President of Medical Veritas International Inc. , a 501(c)3 non-profit company in Hawaii–developed 528Records.com. This music transposition service, and associated 528 Radio Network, broadcasts 528 music 24/7/365 in a growing number of genres, including classic rock, punk, Motown, blues, Christian, disco and ecstatic dance. The “medicinal music” is broadcast to help people cure illnesses, to “give peace a chance,” and bring harmony and greater immunity to intoxicated systems under siege. The “frequency transposition” helps people vibrate in harmony with love, and competes with, or “lowers the volume on,” dissonance generated by the corporate-controlled entertainment industry and media that prompts wars by generating, and suffering from, fear and aggression. It was recently determined by a fellow 528 researcher and music therapist, “Lunartunar,” that John Lennon recorded his famous song, Imagine, in 528Hz frequency. This finding means that Lennon learned about this sound of LOVE/528Hz that Horowitz calls “God’s ‘C’ Note”– the 528Hz “MI” tone reputed to produce MIRACLES by definition in Solfeggio musicology. 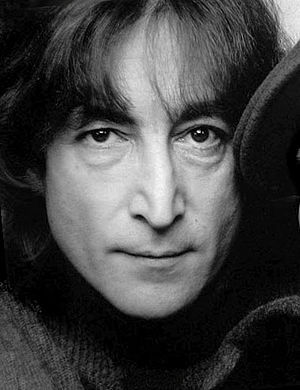 Horowitz speculates that Lennon’s Imagine, along with his Working Class Hero campaign, was too much for war-makers to tolerate, so they had him killed. Imagine, and Lennon’s political ideology, advanced the greatest threat to militarists in history, risking their commercial interests and the global economy that is largely based on war. Faithful prayer, in the form of Lennon’s Imagine or otherwise, powerfully performed in the frequency of “LOVE/528,” poses a monumental threat to the military industrial complex. The doctor proposes that “faithful prayer energizes the heart in C=528Hz,” and produces miraculous manifestations of what is faithfully imagined, envisioned, and intended, especially when administered musically in groups, or even broadcast through the media. LOVE/528Hz resonates, for example, at the heart of the sun that was recorded by NASA scientists. This can be discerned by comparing the NASA recording with a 528 tuning fork. This fact is reflected in every rainbow that refracts greenish-yellow light at its heart in 528nm. Incredibly, light and sound are synchronized universally at 528 frequency, according to Horowitz’s theories and discoveries. 528Hz, he proposes, may be the “zero point” energy that challenges astrophysicists with discoveries of “black holes.” Without 528Hz, there would be no circles, nor ability to measure space/time. 528Hz frequency plays a key role in generating the mathematical constants pi, Phi and the Fibonacci series, and appears to solve the mystery of the “Pythagorian Comma”–the reason the Gregorian calender is imperfect, requiring a “leap year” to adjust the time schedule. 528Hz is the reason there are precisely 5280 feet in a mile, and snowflakes crystallize as six-pointed stars. The Book of 528: Prosperity Key of LOVE celebrates, and even quantifies, your heart’s deepest and most powerful convictions, including LOVE, joy, faith, and bravery. These greatest human values are energized by the music that conquers all crises—pure LOVE/528. There are many applications for 528 that the doctor recommends for advancing new technologies for world peace and personal healing. Horowitz and Kane began impacting the music industry by transposing music to LOVE/528 energy at 528Records.com. Now, therapeutic fashions, art, jewelry, natural medicines, herbal formulas, homeopathics, and broad spectrum natural antibiotics and vaccine replacements, are being produced, all resonating with 528. 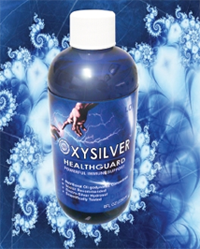 The “World’s Most Powerful Silver Hydrosol—OxySilver, for example, resonates 528, and the doctor recommends its use with prayer. 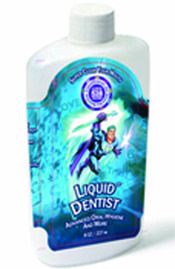 The product is being sold by the doctor’s many sponsors, including Medical Veritas’s donor, CureShoppe.com. “Musicians shall remedy what ails humanity,” Dr. Horowitz predicted several years ago. The way 528 tuning is increasing, his prophecy appears to be manifesting. “This knowledge provides ‘the opportunity of a lifetime,’ to engage a mass transfer of wealth from those who secreted this sacred knowledge to those “who shall inherit the earth” by applying the power of LOVE whenever and wherever possible,” the doctors adds. 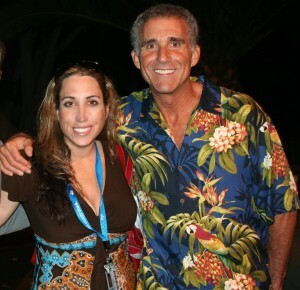 Dr. Horowitz is a most popular, best credentialed, most prolific, and controversial doctor on the Internet. He has advanced “528 science” that he claims promotes health and healing as a function of “holy spiritual atonement”–“a-tone-meant,” or “at-one-meant,” or, alternatively, “attunement” for restoring your “body temple,” and reactivating and restructuring DNA musically, that is, energetically or vibrationally. He points to recent studies on DNA restructuring by “clustered water” scientists conducting hydration experiments, or prostate cancer breakthroughs using ultrasonic frequencies to improve cure rates, as additional evidence of the power of sound to impact genetics and heal what ails us. Spirit is energy. Energy is measured in frequency (or cycles per second of vibrating electrons). Frequency is, therefore, fundamentally electro-musical-mathematics vibrating energetically, electronically, electromagnetically, electro-genetically, and bio-acoustically. This physics of creation and recreation, fundamental to biophysics and metaphysics, administers near-instantaneous cellular reactions, regeneration of tissues and body organs, along with genetic expressions. Music played in 528Hz frequency, that is the key of “C” when recording artists are “tuned up” to A=444Hz rather than the spiritually-suppressive ego-jarring “standard tuning,” broadcasts outward in our hydrated atmosphere touching and opening people’s hearts everywhere, I learned from reading Dr. Horowitz’s book. So not only does that frequency “phase lock” music-makers and audiences into God’s heart, it broadcasts outward, albeit unheard and unseen, helping to harmonize humanity with pure LOVE/528 energy. 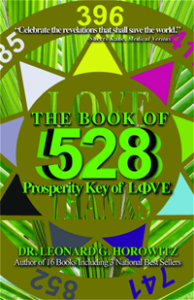 The Book of 528: Prosperity Key of LOVE explains how to use this knowledge to actualize greater harmony in your life, your body, and our world threatened by war, with people suffering from dehydration, starvation, and infectious diseases. As a world-leading peace activist, this Dr. Horowitz offers humanity’s greatest opportunity to transcend our destructive paradigms, and the political and psychological impositions that maintain them. These revelations provide hope that social, political, and economic impositions enslaving people to false doctrines and degeneration are now resolving due to the “528 Revolution” sparked by the doctor’s amazing books, and I feel privileged to have worked with “Dr. H” on 528Records.com. “The purpose of The Book of 528: Prosperity Key of LOVE is to inspire you with the creative knowledge, technology, and simple skills needed to restore your ‘Divine Connection.’ This surely serves your highest calling(s), gifting(s), and humanity’s destiny to live in peace, harmony, and general prosperity,” says the doctor. The Book of 528: Prosperity Key of LOVE, is published by Medical Veritas International, Inc., and is available through CureShoppe.com along with other 528 Revolution sponsors.